Having started as architect Klaus Mertens made his dream coming true and changed to the fine arts. In 1991 he graduated as master of arts by Georg Baselitz at UdK Berlin. In his early career he worked with engagement and great success on the subject of printing. He produced large series of woodcuts. The figurative manner of so called Woodcut Tattoos are celebrating the human body. Grand and austere the Woodcut Tattoos are playing with patterns and ornaments giving the surface occult and strength expression. Handy sized Social Prints are graphics showing poetic, sensitive images like landscape and porträt combining elements of pop art and traditional woodengraving. 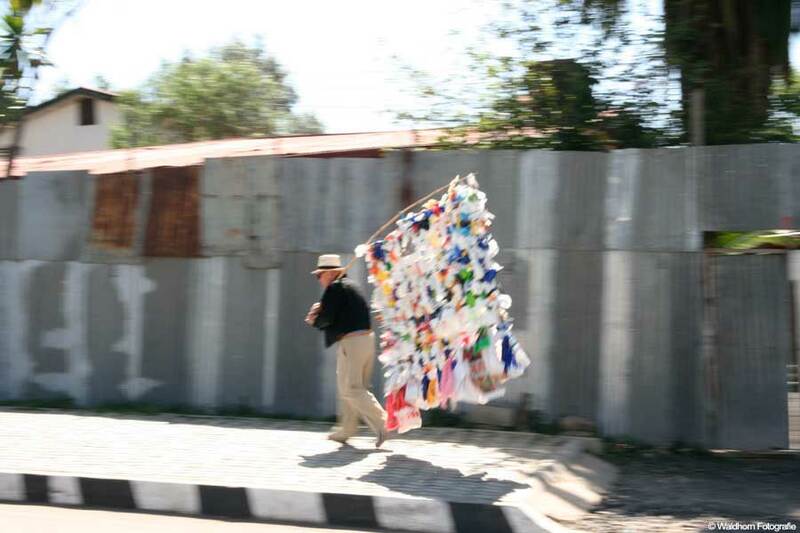 In 2007 Klaus Mertens moved to Addis Abeba. Inspired by the sense of Africa he consequently changed to the medium of sculpture, photography and performance transforming his style working with ornament and pattern into the third dimension. These works like the Fashion Racks, Jungle Fighter or Hidden Secret transform material he found in the nature to a artificial emblem of civilisation. Klaus Mertens is teaching at the School of Fine Arts and Design in Addis Abeba.